The coldest August in 21 years had passed. September was kinder. August saw a spate of festivals and September offered a festival of good gigs in the city’s venues. Glastonbudget Auditions took place at The Shed. On stage tonight were Sour Mash (from Birmingham), Aaron Stratton (singer from Leicestershire), Leicester band Part of the Problem, Mia and the Blackhawks, Chambers. Birmingham band Sour Mash was a four-piece band playing classic rock style music. Armed with rippingly good guitar parts and solos, their music was strong on attack, with their lead vocalist playing guitar and backing vocals from the bassist. A solidly good band. 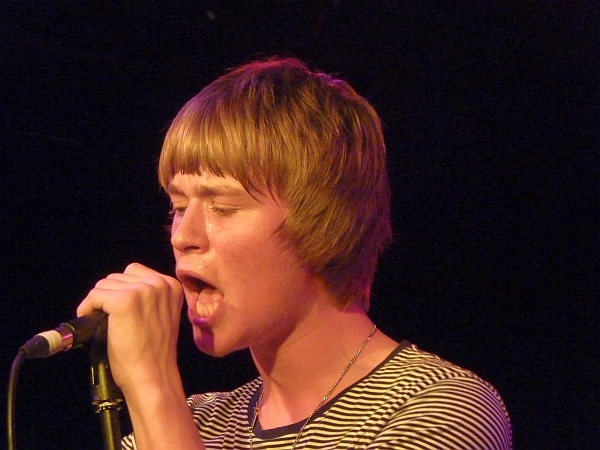 Aaron Stratton is a young singer from Leicestershire. His set of covers plus one of his own sings, went down well. Having drawn a substantial following for his appearance tonight, the room was full of people supporting his set. Having followed his career for some time now, since he started playing at the age of 14, Aaron is a performer with a lot of talent; he rose to the occasion with his set of well-known songs. Looking confident on stage, he sang to the audience and they responded back. His voice has matured and his guitar playing has blossomed. His vibrant delivery held everyone’s attention. Being the sole person on stage is challenging but he sailed through it even though he tackled some demanding numbers. Aaron gave an astonishingly good performance. The four members of Part Of The Problem presented a set of funky hip-hop songs. Their mixed genre style of music included some covers and some of their own compositions. The band was recently featured in a podcast by Kevin Gaughan on Hermitage FM. Their strongly Caribbean sounds were full of attractive rhythms and they won over the crowd. 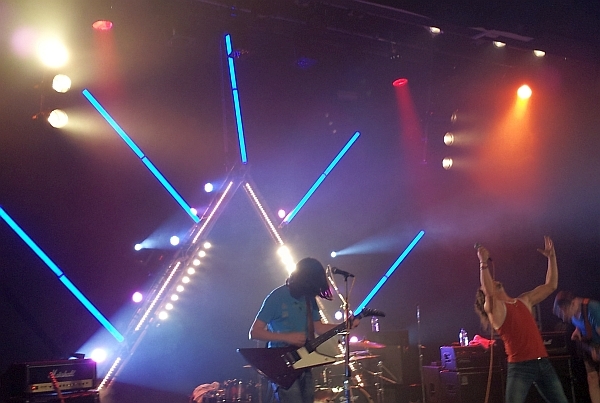 They delivered an electrifying set that was musically outstanding. Their lead singer gave a good performance, capturing those infectious beats and vibrant vibes and the audience loved it. The band has recently brought out an EP. They will be playing at the forthcoming Oxjam festival. Mia and the Blackhawks is not a band I have seen before but the five members with their female lead made a strong first impression. This band from Birmingham makes a tribute to classic rock. Their cover of I Love Rock ‘n’ Roll (originally by Arrows) was very entertaining. The band played at Glastonbudget last year. They rocked out and were great fun. Leicester trio Chambers brought the evening to a close with their set of own songs (that sounded to me like ‘experimental grunge’) which were different from what had gone before tonight and somewhat ‘niche’ but in the right line-up with the right audience, I can see them taking off. Personally, I loved what they did. They had a style all of their own. Another band that I would definitely want to see again. Young Bands showcase night at The Shed, with Allysia (14), House on Fire, Rise of the State, Alligatr. 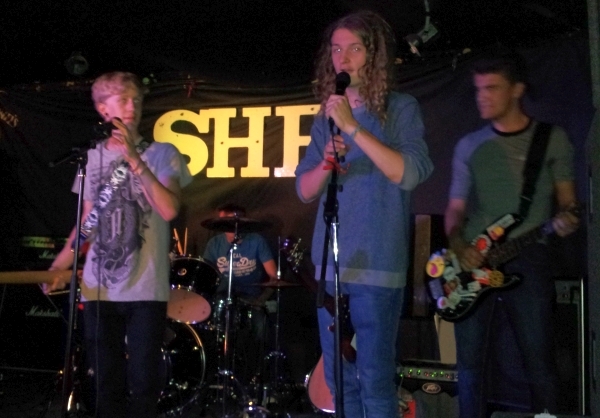 Young bands put on a lively show at The Shed. The first of two showcase events for Young Bands and Artists, saw Becky Field, Sophie Percival, Lydia Mason, Cool Times and Horizon on tonight’s line-up. The first night for a new open-mic session at The Turkey Cafe. Find out more about open-mics nights in Leicester. We looked forward to Rocktober – by looking back at previous Rocktobers. Sav Fest took place in Market Harborough, a charity event that supported Ian’s Chain. Of the many artists at the all-day event, we saw Captain Horizon and Jonezy. 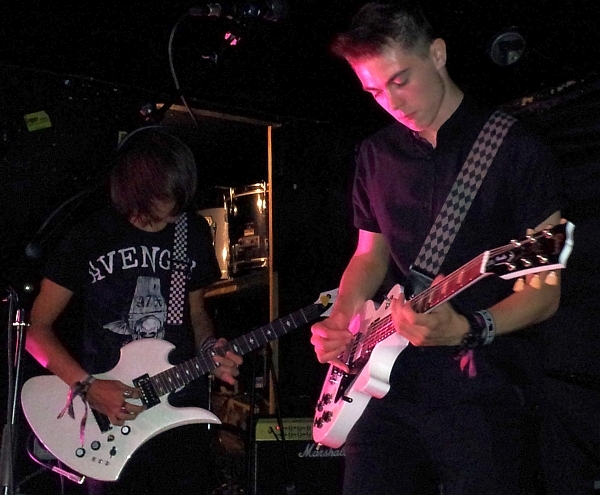 The band was born in the summer of 2008 when Josh and Alex started writing songs that brought together the high energy and intricacy of music from bands like Incubus, Radiohead, Tool and Porcupine Tree, and the classic swagger of stadium bands like AC/DC, Pearl Jam, Pink Floyd and U2. Mez joined shortly after and set about bringing his unique brand of precise and original drumming to the music. Whitty was the last piece of the puzzle, injecting thunderous vocals, unstoppable self belief and the ability to charm any crowd before him. With three EPs under their collective belt, Captain Horizon are currently working on their first full-length album, set for release later this year. [Arts in Leicester magazine]. Follow Captain Horizon on Facebook. Neon Sarcastic put on a storming show at The Shed. At The shed for the Glastonbudget auditions we saw Dig Lazarus, Formal Warning, Violet Cities, 8 Miles High. We started our review of the year. Keith Jobey held his birthday party at the Cookie Jar. Elizabeth Cornish was one of the artists that performed. We started to compile a list of the acts that have been feature on MIL. 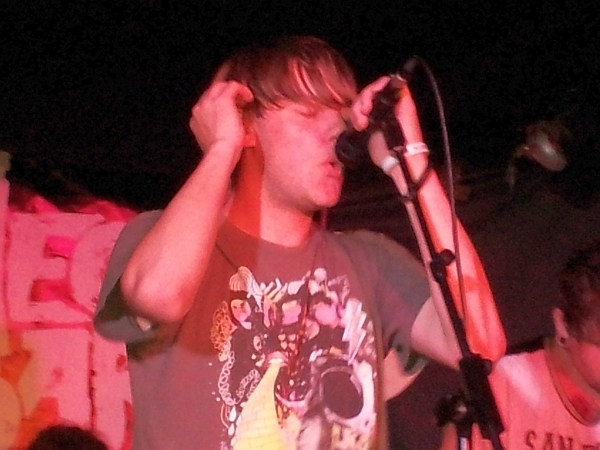 Morass of Molasses was one of the bands that played at The Shed’s big night of bands. We dropped in to see how the auditions were going for next year’s Glastonbudget Festival. 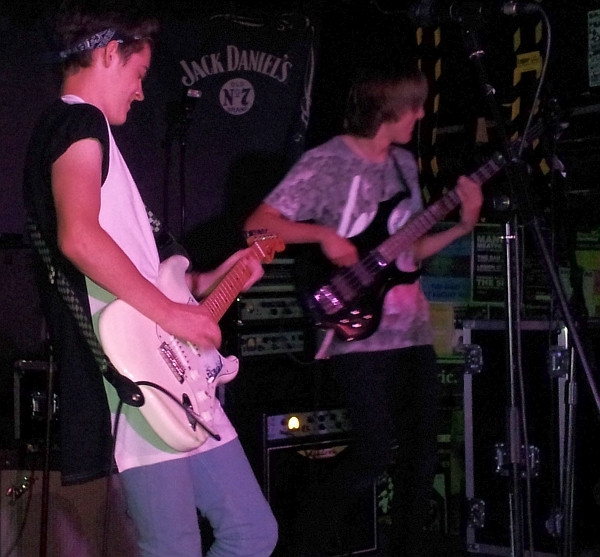 Leicester’s Jonezy and Norway’s Alexandru were on stage together at The Shed, for the Glastonbudget 2015 festival auditions. 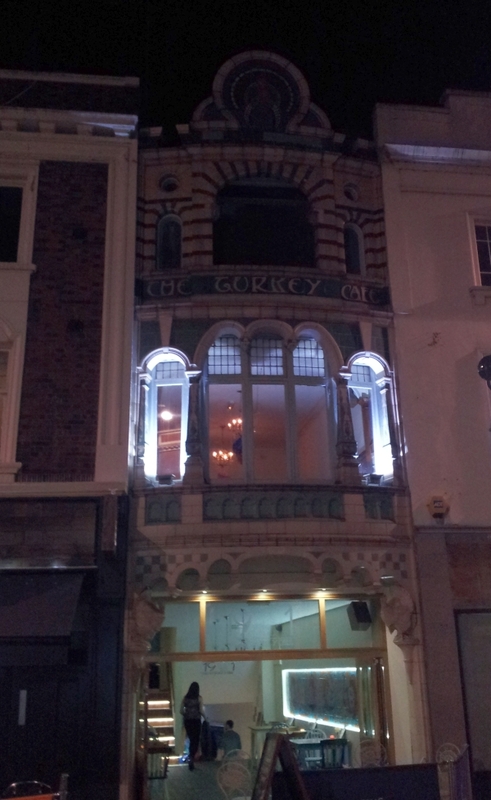 We were at the Cookie Jar to see Casino Empire. On stage support them: Beneath the Lights and Albion. September was a month that offered good things – great bands, vibrant events and a lot of worthwhile gigs. We did not manage to see everything but then, in Leicester, you never can. There is always too much going on. Tonight at The shed we saw: Leaving Earth, I Surrender, L’L’ Revolution, Xalted and The World Can Wait. We saw Bridged, a very good performance by this band from Thrapston in Northamptonshire.